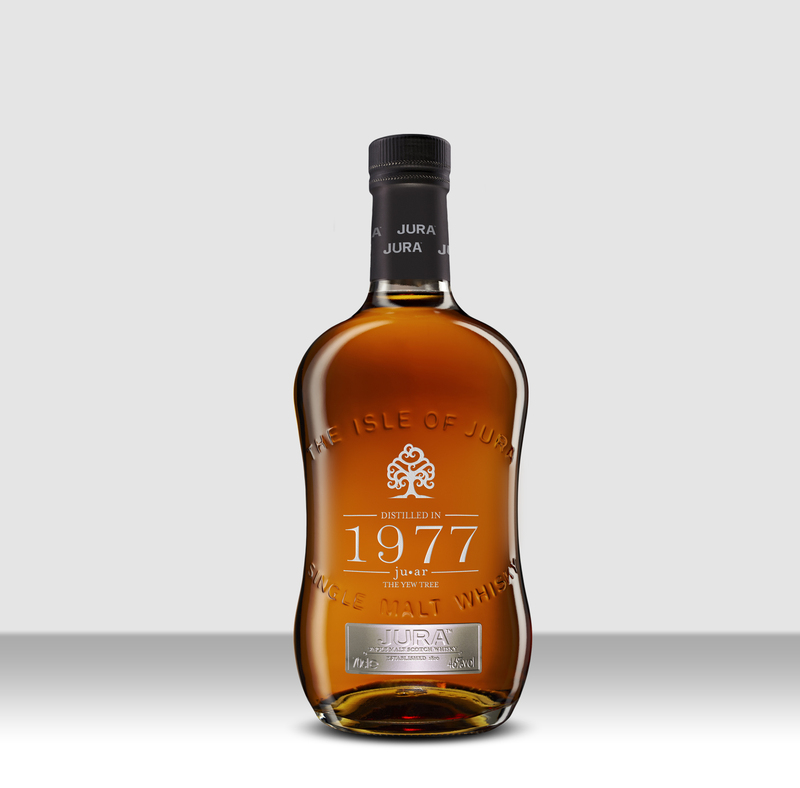 Jura distillery has added a new, limited-edition vintage expression to its collection – the 1977. This uniquely crafted vintage takes its name from the Gaelic word for the Yew tree, which once sprawled across the entire island of Jura. Translated as ‘Juar’, the Yew tree has long been associated with immortality and regeneration, with some even believing it gives access to the “otherworld”. Filled to cask in 1977, this vintage release was originally matured in three first fill bourbon casks before being finished in a ruby port pipe for 12 months. Each of the 498 bottles has absorbed the character and colour that only comes with careful aging. The 1977 vintage is presented in a solid oak box, with each box hand-crafted individually by Scottish-based cabinet maker, John Galvin. The whisky is sweet, fruity and warm amber in colour. The nose provides subtle notes of peach melba, creamy caramel, ripe sweet pineapple and maple syrup, giving way to the tastes of crushed pear, passion fruit, kiwi and sweet apricots. Jura 1977 is bottled at 46% ABV and available to buy from www.jurawhisky.com or from specialist whisky retailers priced at £600 RRP. “The 1977 is a perfect mix of amber and gold shades – a quality which is only achieved through age. Complemented by an enticing scent and soft sweet flavours, Juar is a real treat for all whisky lovers.